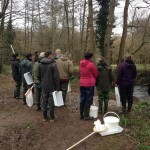 Bristol Avon Rivers Trust (BART) has formally completed its partnership project on a stretch of the Wellow Brook at Welton, Midsomer Norton. 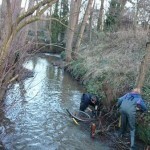 The project was carried out in partnership with the Wild Trout Trust and the Environment Agency. Many informal initiatives however will be continuing during the Summer. 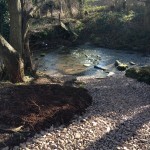 To draw attention to the brook and to highlight how local people could make a difference in maintaining it and improving it in the future, whilst also making some improvements to the brook. 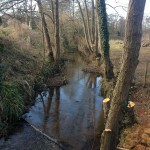 To open up the river by coppicing a short stretch which would be immediately noticeable to local residents and to provide views along the brook which were previously hidden. This would also allow extra light into the brook and along it’s bankside to promote plant growth and increase the productivity of the river. 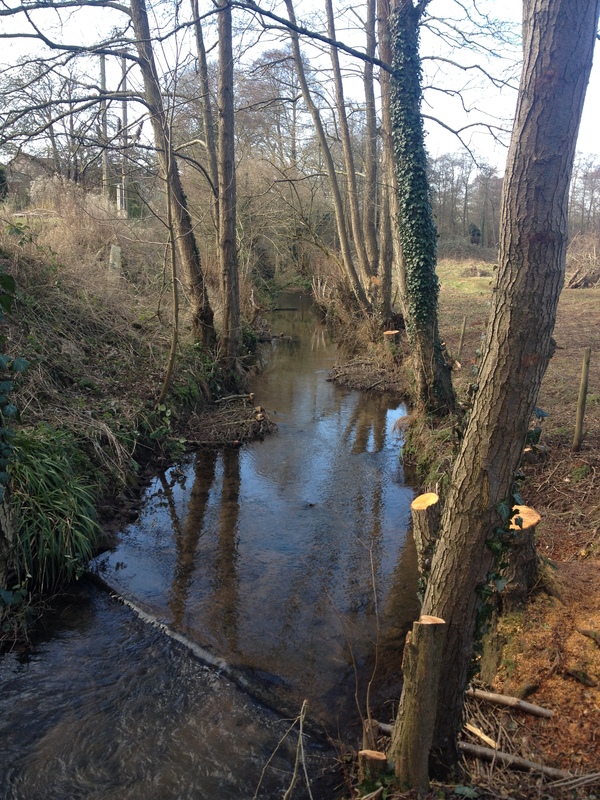 To construct in-stream woody structures along the newly cleared stretch to introduce some variability to the flow pattern of the brook within its natural banks. It was intended that these structures would also act as refuges and habitats for juvenile fish, including the small numbers of brown trout present in the area. 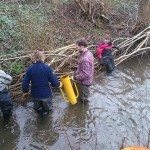 To patch areas of bank erosion along the site using natural woody materials. 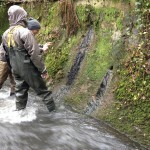 To investigate other areas of the river for the future to offer ongoing solutions and opportunities for local people and the local authorities to continue improvement and maintenance of the town’s most valuable natural asset. 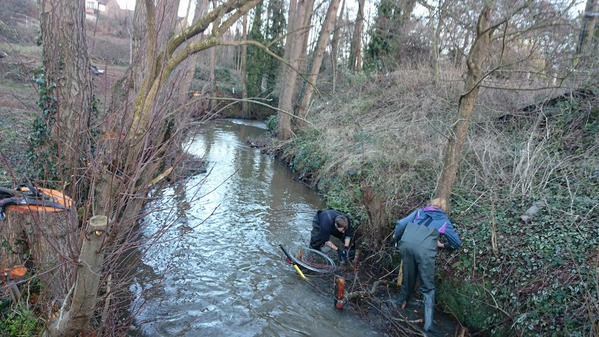 by conducting community riverside litter picks to clean up the river for local residents and get more people involved in the maintenance of their river. 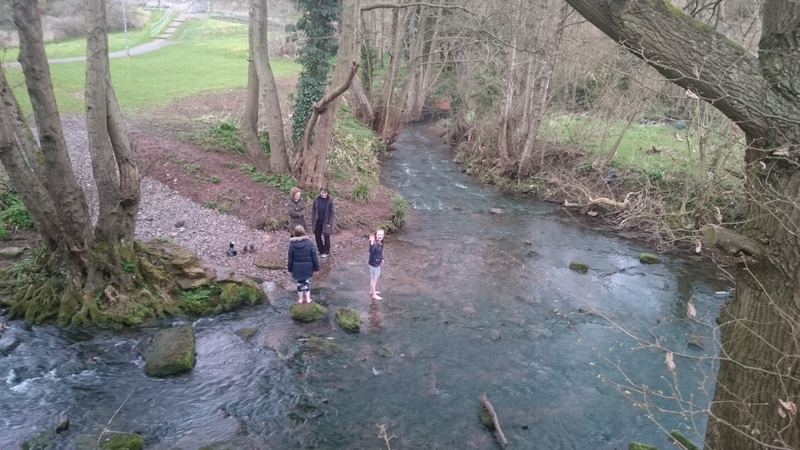 by improving an access point to the river where bank erosion by people and dogs was becoming an issue but which offered great amenity value for children and schools. by conducting other community engagement activities designed to reconnect people with their river and widen their knowledge of the issues it faces. 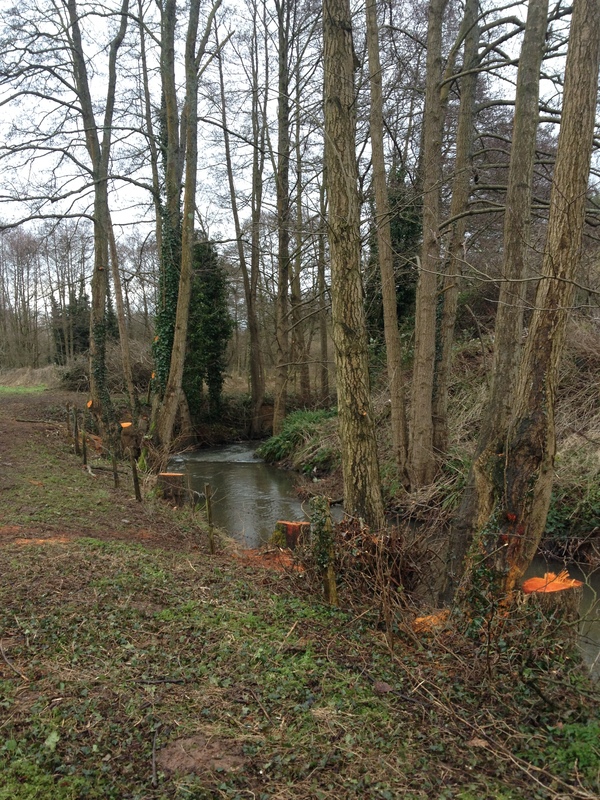 The coppicing has visually opened river views and access and we have already had a great response to this, with people commenting on how they are enjoying being able to see the river. 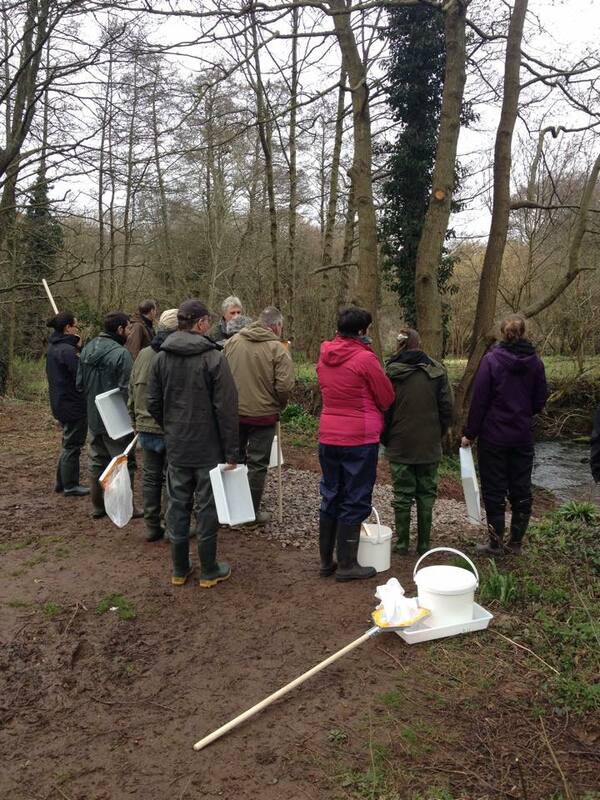 The project has introduced a greater of variety of flows into the river in the project area which have already been observed to increase the scour of the riverbed, which will undoubtedly improve habitat for invertebrates and the spawning potential for trout in the future. 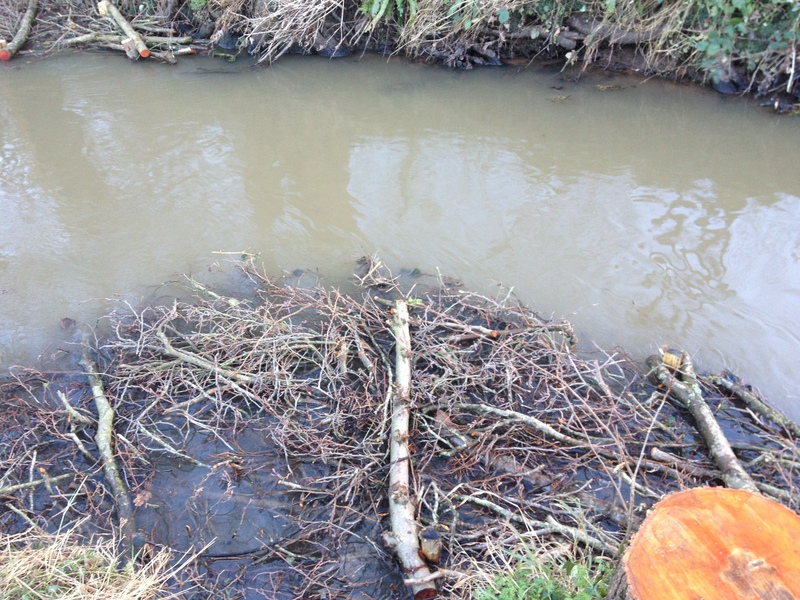 The berms are collecting sediment and plants have started to colonise them as a result – the banks are narrowing. The increased access allows people to see problems and report them. This has already led to feedback which has highlighted there may be a misconnections issue nearby which can now be identified. BART believes the true value of projects such as these are the future possibilities created by the partnerships and people who become involved in them, not just the immediate assets delivered and this project will continue to deliver benefit long into the future. Thanks to all of the volunteers involved in this project for your help!